Scenario: you're an office girl and you have caffeine-powered meetings all throughout the afternoon. After work, you plan to chill with some friends over cocktails or maybe attend where you need to step up your look. 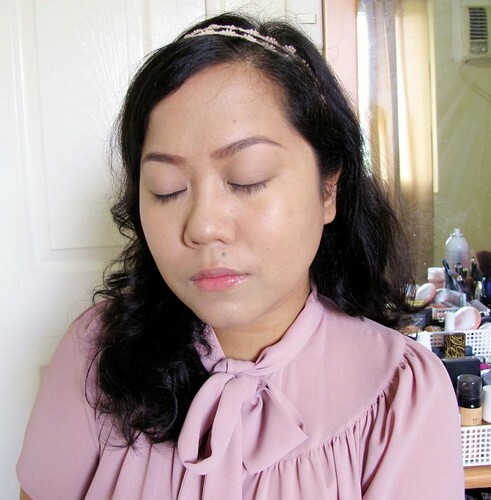 You have your outfit prepared but what about your makeup? It has to be up to the task! What you need are long-wearing products that need only minimal retouching as you transition from day to night. That's where Bobbi Brown comes in. No other brand understands working women better than Bobbi Brown, I think. Her focus has always been on natural-looking, polished makeup that's easy to do AND carry around. The Long Wear Eye Collection is perfect for all you office girls out there, or anyone who wants long-lasting makeup for that matter. I will review the products separarely next time. 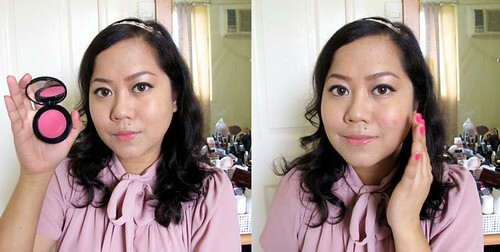 :) For now, I want to show you a look I did entirely with Bobbi Brown products I have in my kit. It's what I would wear to the office (clean, natural makeup) straight to cocktails (darker, more intense eyes and lips). Here's a step-by-step tutorial! 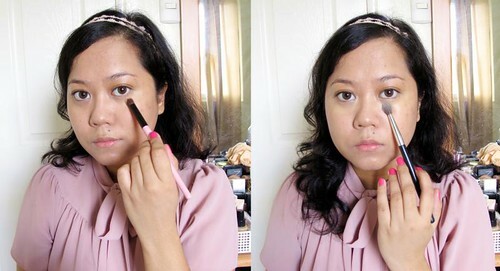 Step 1: Apply a reliable, sweat and oil-resistant foundation such as the Bobbi Brown Long-Wear Even Finish Foundation. This foundation just doesn't quit! It's also heavy coverage so I can use it to conceal most of my blemishes. 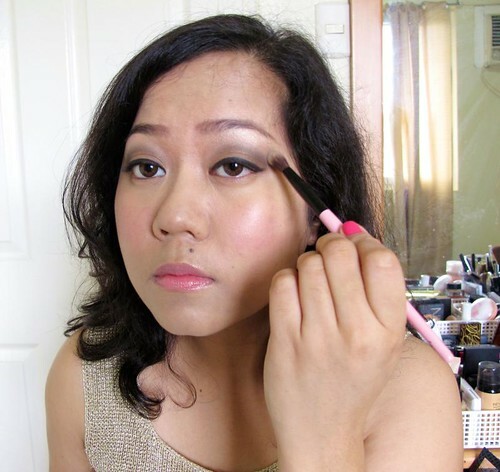 Step 2: Conceal undereyes and any remaining imperfections. 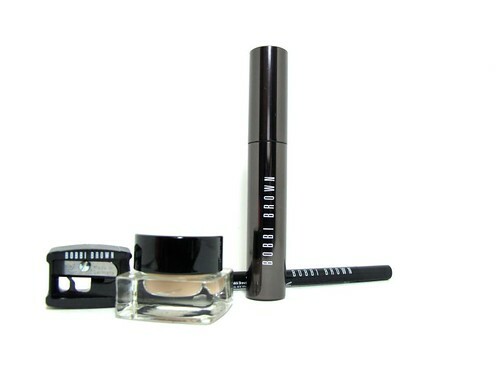 I'm using the Bobbi Brown Creamy Concealer Kit. It reduces puffiness and discoloration in the eye area. 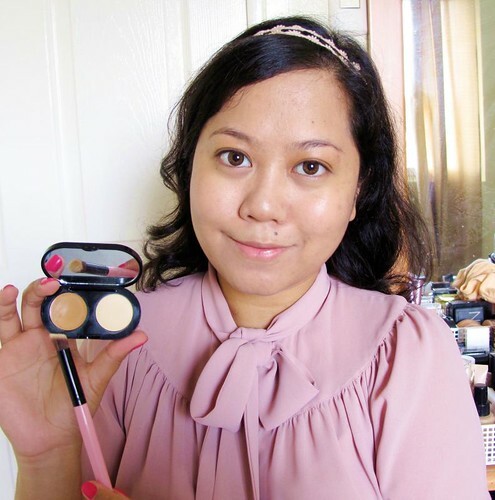 I buff the concealer in using a mini angled flat top brush from Charm (it's an awesome brush btw). 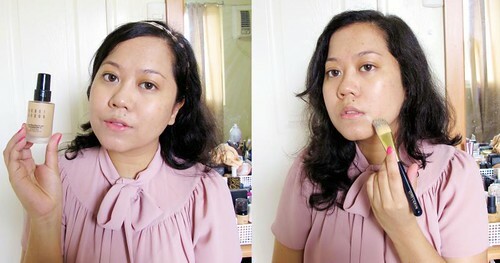 Then, with a big fluffy brush, I gently roll the powder on top of the concealer (just rotate the brush left to right). This is a wonderful technique I learned from a Bobbi Brown MUA years before. It keeps you from pulling the sensitive skin and getting powder particles onto your eyes. Step 3: Time to set all that wet makeup with powder so that it doesn't slide off during the day. 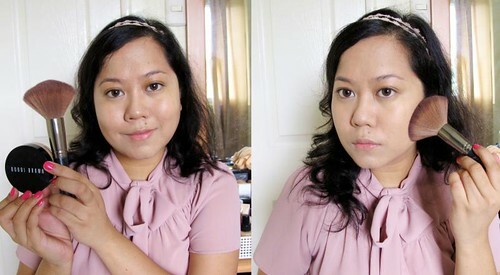 I'm using the Bobbi Brown Skin Foundation Mineral Makeup SPF15 powder here. Love the glowy and super smooth finish! I just push it onto my skin with a fluffy face brush, never swiping so as not to remove my concealer work. Step 4: Eyebrow time! 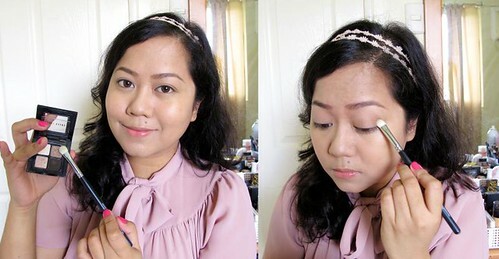 I want soft brows with this look so I decided to use powder. 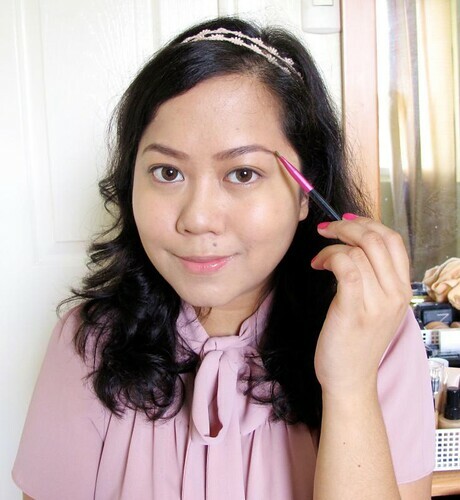 Tip: you can use a matte brown eyeshadow on your eyebrows if you find pens and pencils too harsh. 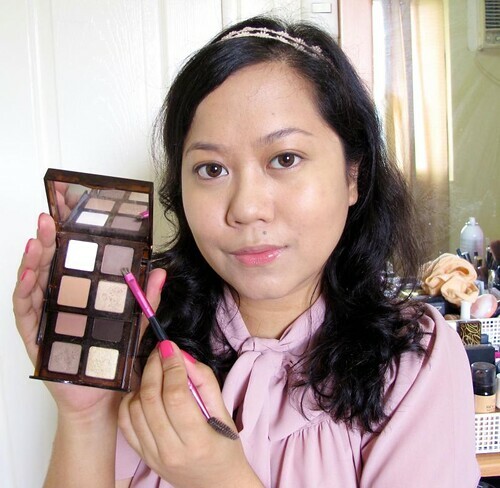 Here I picked up Hot Stone from the Bobbi Brown Tortoise Shell Palette in Sand. Mixed it a little with Black Chocolate (brownish charcoal) for more definition. 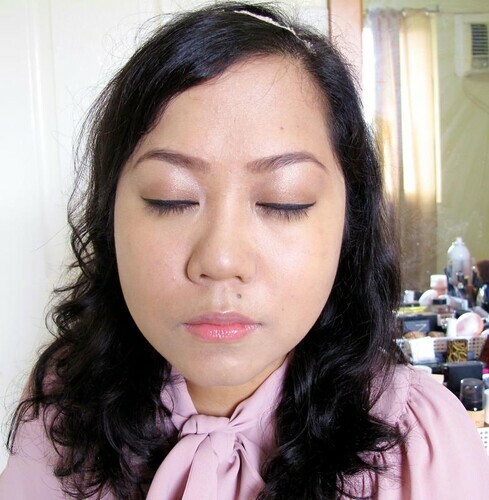 Step 5: Apply a cream base to even out your lids and intensify eyeshadow (if you decide to wear some). 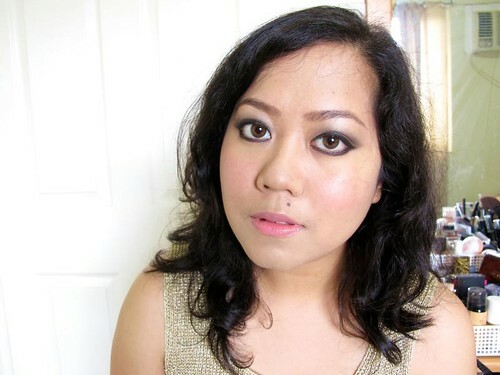 I patted the Bobbi brown Long-Wear Cream Shadow in Shore all over my lids and brow bone here. It's matte but looks a bit velvety, too. Looks like nothing right? 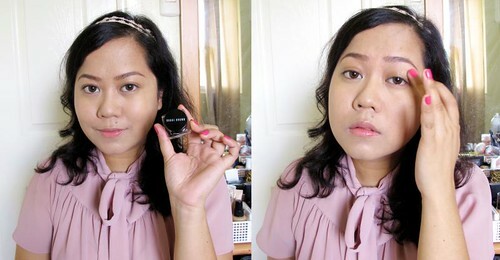 But if you have dark lids, they can make your eyes look more tired than they are - much like eyebags! So neutralize them with a beige or yellow cream first. Step 6: Pat a coppery eyeshadow on your lids to give them some depth and shimmer. 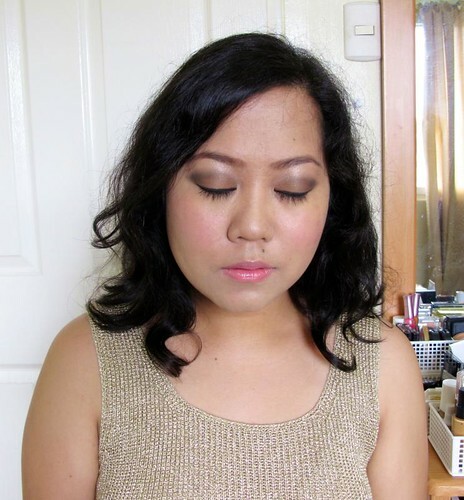 What I have on is called Copper Sand from the Bobbi Brown Champagne Quartz Eye Quad. Step 7: Eyeliner opens up your eyes and gives them definition. 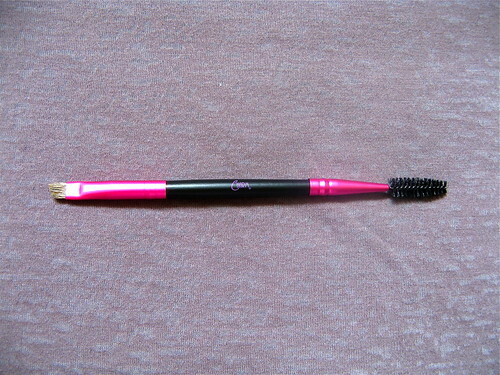 Black can definitely used for day as long as you wear a thin line close to your lashes. 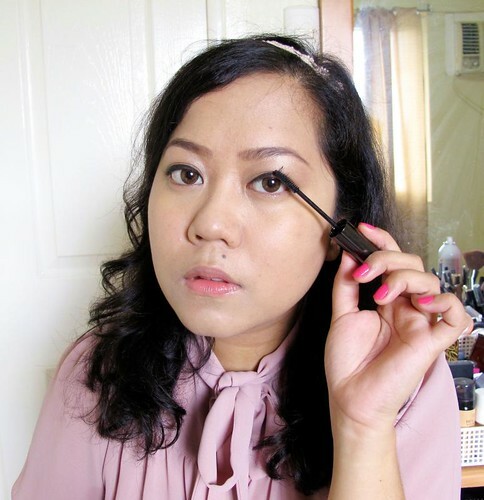 The Bobbi Brown Long-Wear Eye Pencil in Jet is SUPER black. 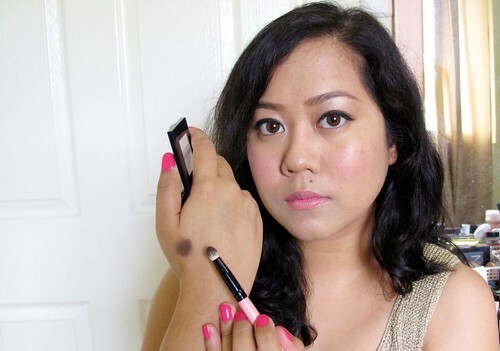 It's the blackest eye pencil I know. It also doesn't smudge or fade. Step 8: Mascara! During the day it's nice to have clean, natural-looking lashes that aren't too voluminous. You need them to look long and pretty, not like spiders left their legs on your eyes! Step 9: Need to look fresh? Blush! 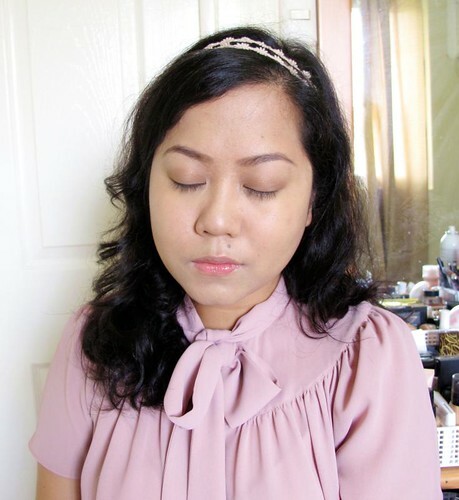 Powder blush is great but you should also consider cream blushes like the Love: Bobbi Brown Pot Rouge in Pale Pink. It doesn't look like it's sitting on top of your skin so you appear just naturally flushed. 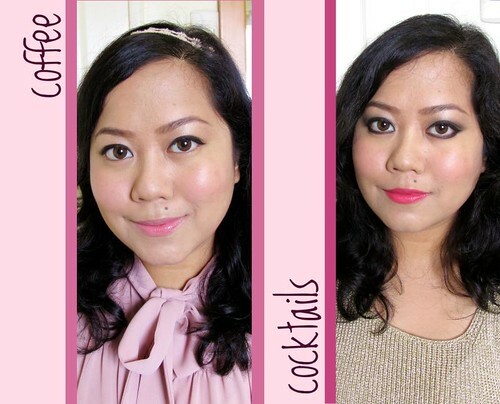 Oh, and you can also use the rouge on your lips, which I did here! Ta-dah! 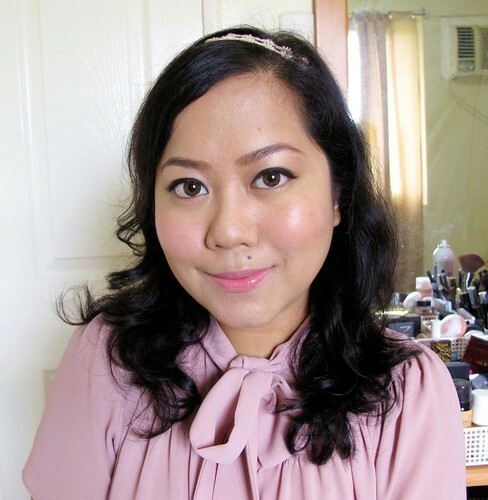 My natural and fresh office look! It's not only pretty, it's meant to stay that way (with a bit of retouching here and there as you oil up) until you choose to remove it. Okay, so I apply that color on my crease, from the outer ends going inwards. To check if you're getting right shape, look straight at the mirror instead of looking down. I like to draw my crease line like this so that I know where I'm going. Step 2: Blend that charcoal out with a brush to soften the look. 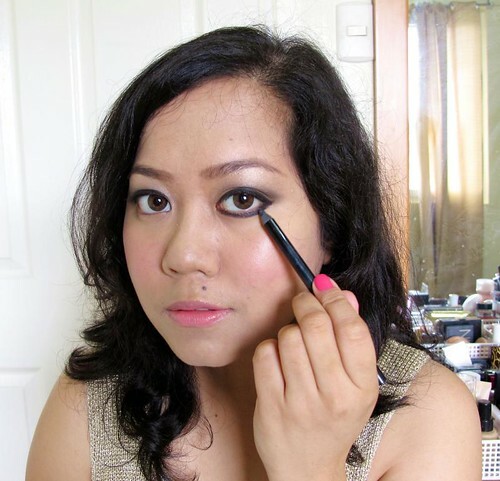 Step 3: Apply eyeliner on your waterline and lower lid. I like to extend and connect my lower and upper lines. Experiment to see what eyeliner technique best works for your eye shape. Step 3: Lipstick! I know it can be overwhelming wearing dark eyes with loud lips, but since you'll be out at night it won't look out of place. Remember, it's darker, so your features recede. You can make them stand out with this combination. 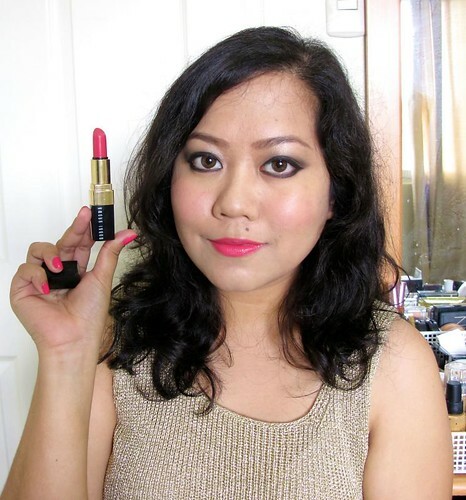 :) Here I'm using the Bobbi Brown Lip Color in Pink. A red will also look nice with this look! So there you go! This look will go perfectly with your chic dresses and stilettos. Photogenic, too, especially with flash.